With very fragrant flowers that appear as masses if single yellow florets Lilac “Primrose”, this is wonderful feature plant for any garden. The full name is Syringia vulgaris “Primrose” and this is a very attractive Lilac. The flower buds appear in mid to late spring in tight heads as a creamy white, before opening to a pale yellow to creamy white. The flowers can take on a more golden tone as they age. This is an excellent plant for the smaller garden, it can be used as a hedge, or as a feature plantain the garden border or in the lawn. 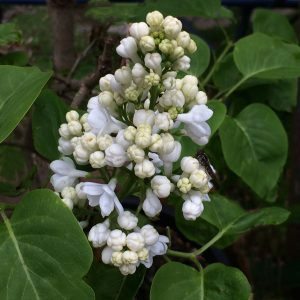 Like most Lilacs, this is a very hardy shrub, it grows well in a humus rich well drained soil and prefers full sun, although it will grow well in a little light afternoon shade.